Jeno Luckshmi is a residential project developed by Jeno Maran Group. The project offers well designed 2BHK and 3BHK apartments at very affordable prices. The project is well connected by various modes of transportation and provide all basic amenities. What is the project location?The project is located at Krishna Nagar, Pondicherry. What are sizes of apartments in Jeno Luckshmi? The apartment sizes in the project range from 862.0 sqft to 1202.0 sqft. What is the 2 bedroom size in Jeno Luckshmi? 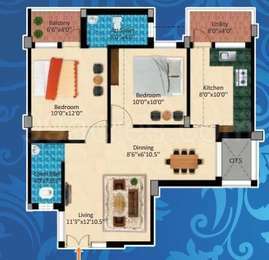 2 BHK units in the project are available in a size of 862.0 sqft to 1081.0 sqft. 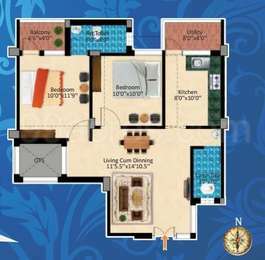 What is total area of 3 bhk in Jeno Luckshmi? 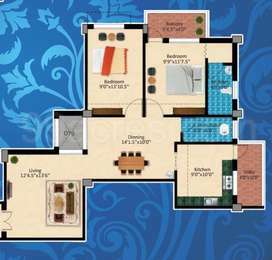 3 BHK units in the project are available in a size of 1186.0 sqft to 1202.0 sqft. How many number of towers are there in Jeno Luckshmi? With 1 towers, the project offers 24 housing units. Does Jeno Luckshmi have kids play area? Yes the project has kids play area.